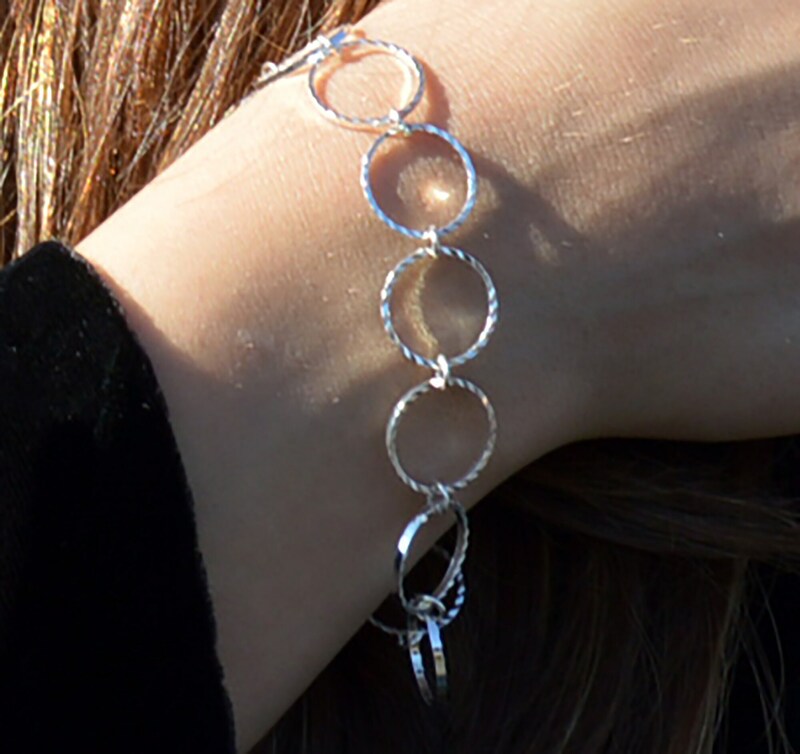 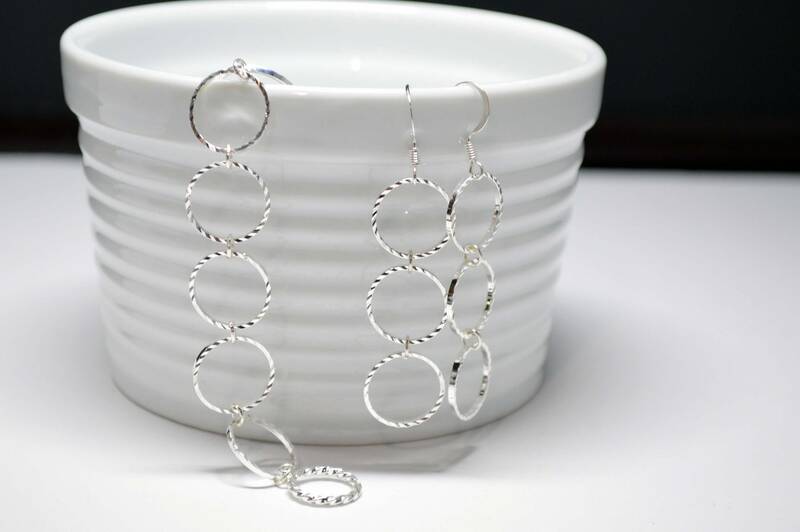 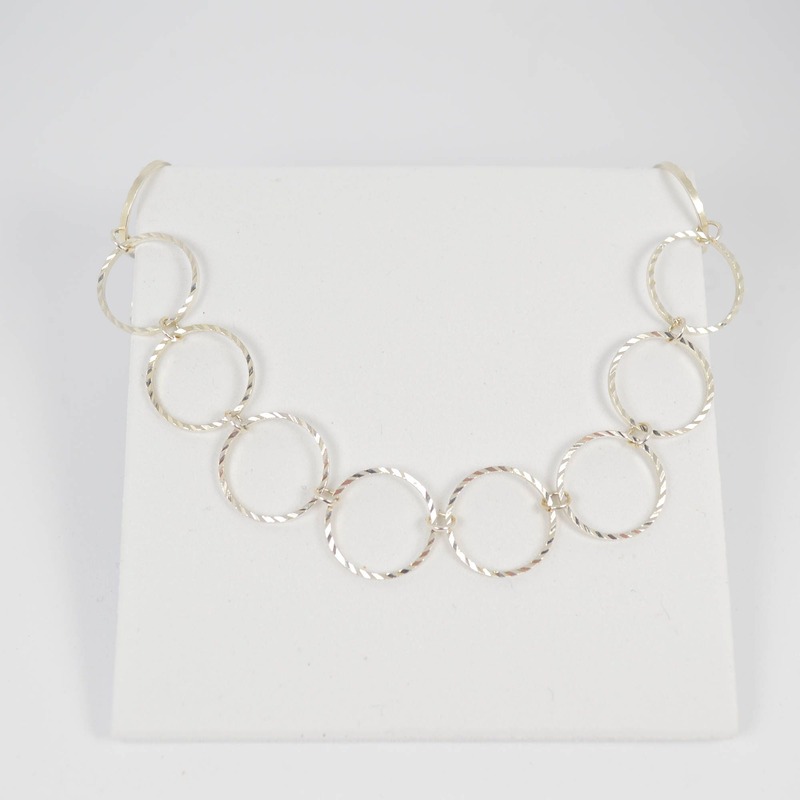 This elegant bracelet and earring set features open circle, silver rings linked together. 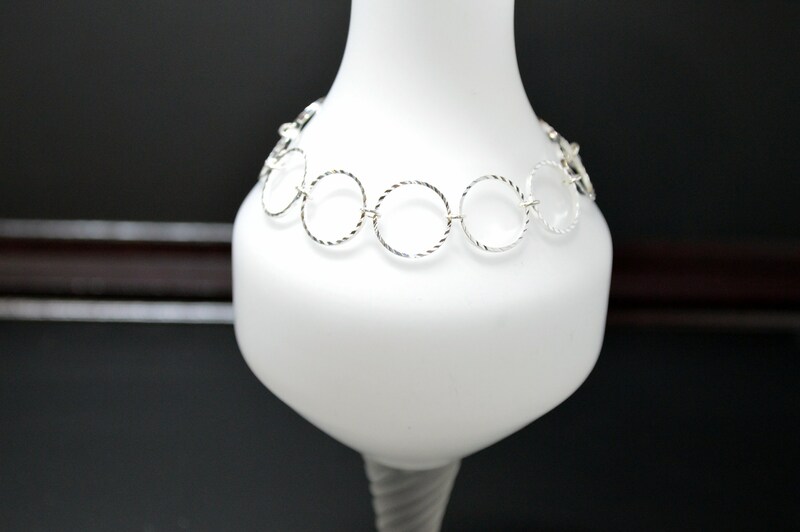 The diamond cut texture really adds an extra layer of spark and elegance to this bracelet and earring set. 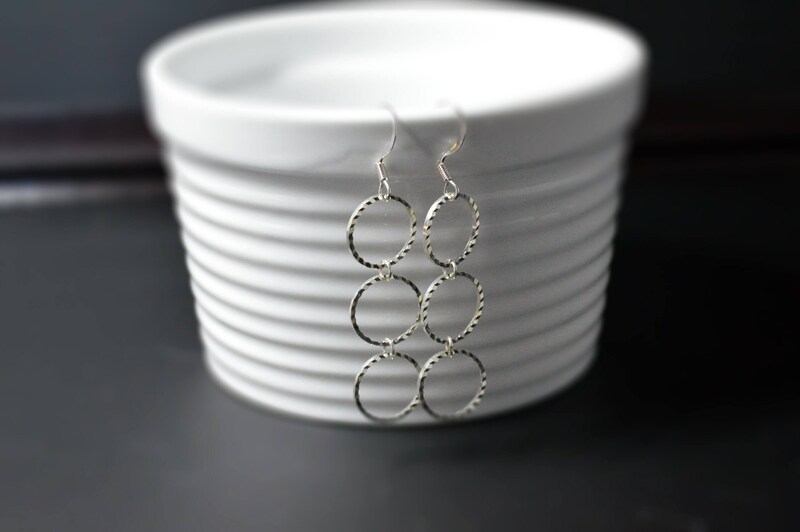 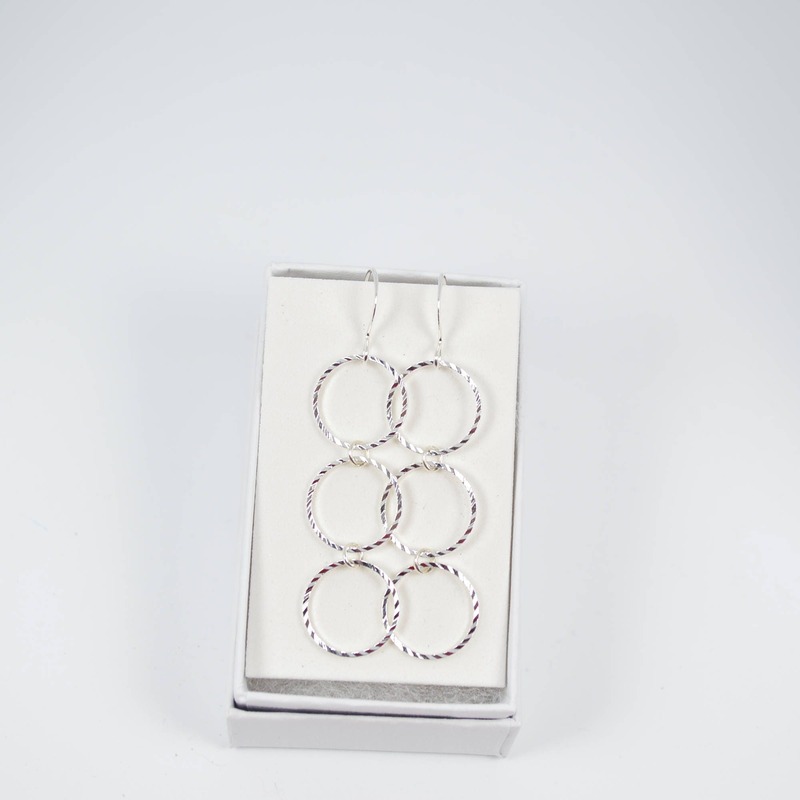 The earrings measure approximately 3"